Zucchini can be substituted. 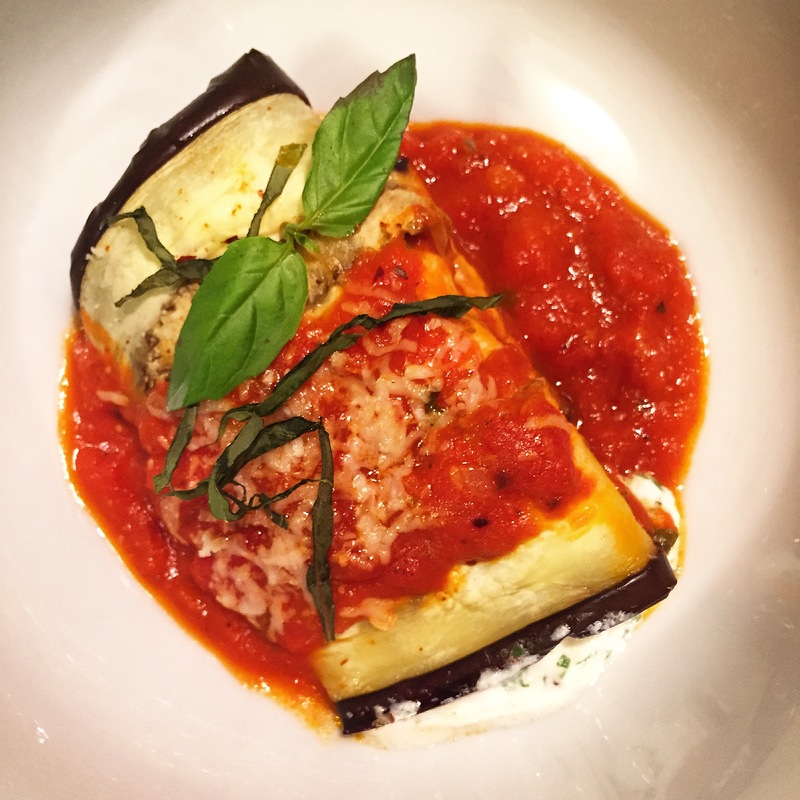 If you’re not a fan of eggplant, feel free to substitute for zucchini. 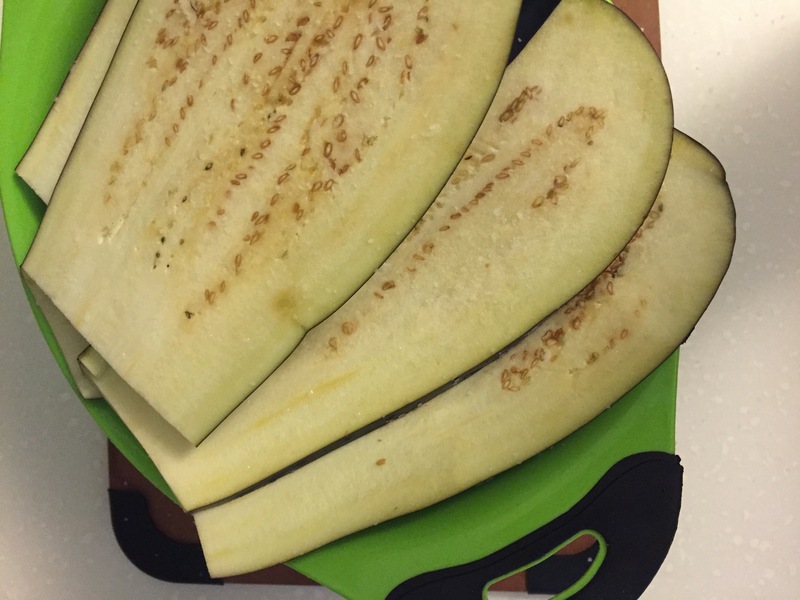 Simply slice the zucchini 1/4-inch thick, vertically, & set aside. Heat EVOO in a grill pan over medium-high heat. Add the zucchini slices in a single layer (do this in batches, if necessary) and cook until pliable – about 2-5 minutes, per side. Continue with the technique explained in the recipe below. Use store-bought marinara sauce. 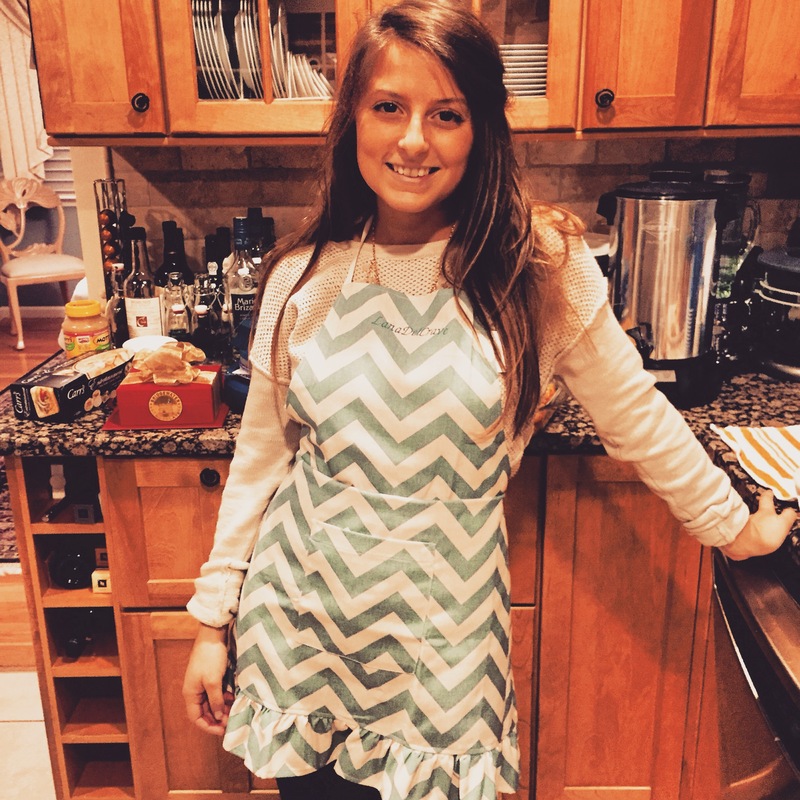 If you’ve read my blog in the past, you know I am a lover of Rao’s marinara sauce. 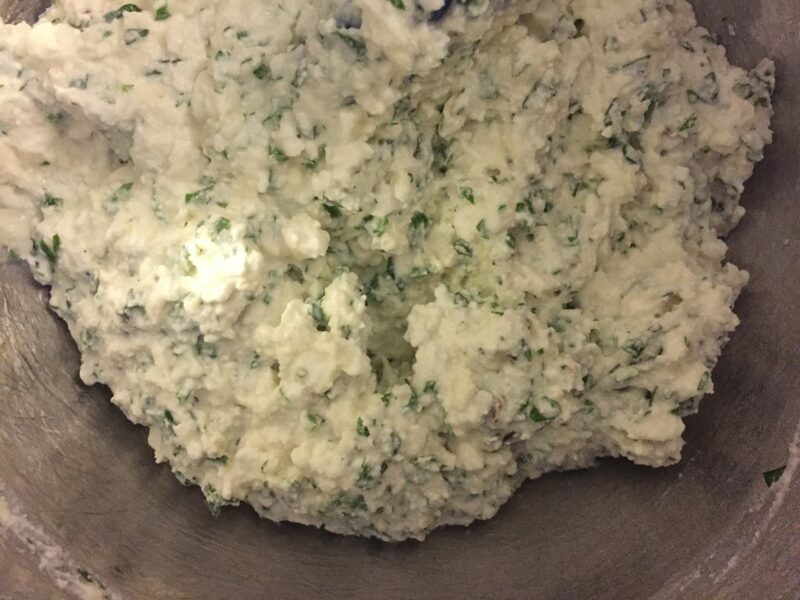 Save yourself some time and use Rao’s (or your favorite brand) for this recipe. Preheat the oven to 425 degrees. Line 2 baking sheets with parchment paper or spray with non-stick spray. Slice the eggplants 1/4-inch thick, vertically. 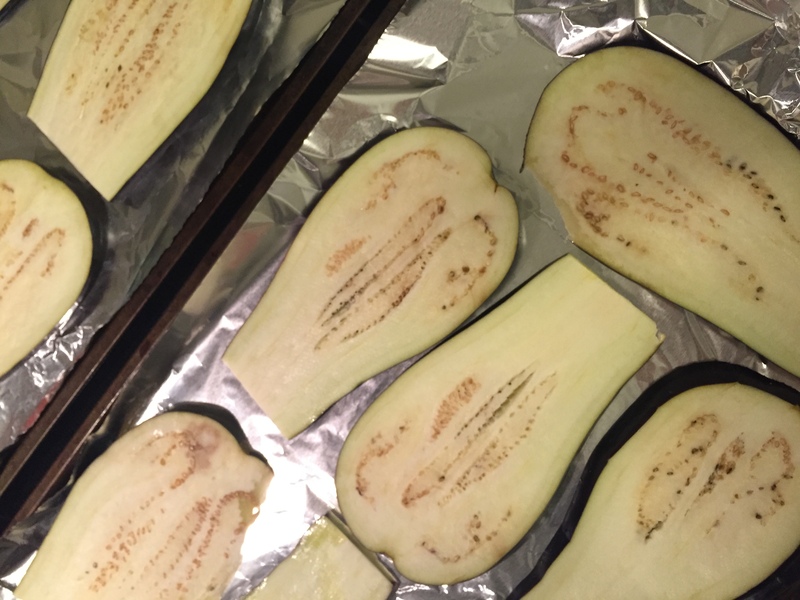 Season both sides of each slice of eggplant with salt then place in a colander in the sink. 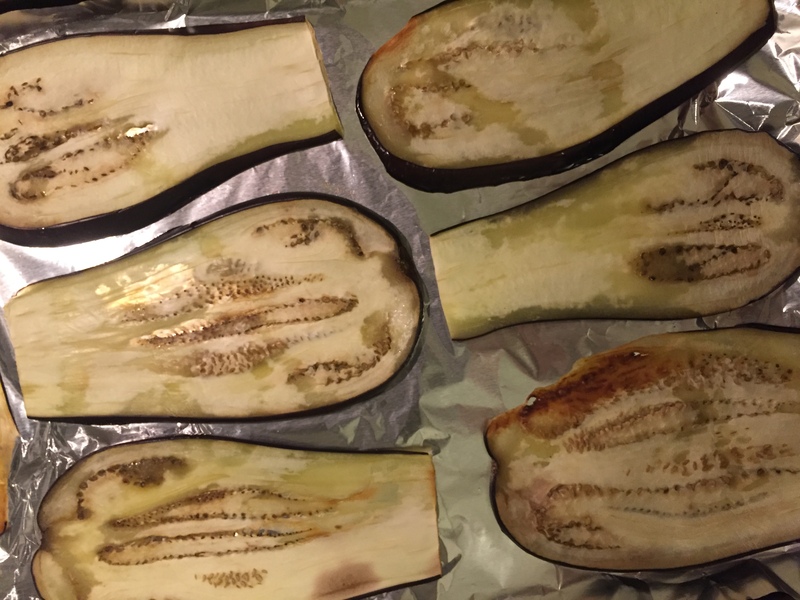 Let the eggplant sit for 15 minutes, to draw out excess moisture and bitterness. In a medium bowl, combine the ricotta cheese, cottage cheese, 1/4 cup Parmesan cheese, parsley, 2 tablespoons basil, garlic powder, red pepper flake (optional), salt & pepper. Once the filling is uniform, set aside in the refrigerator. 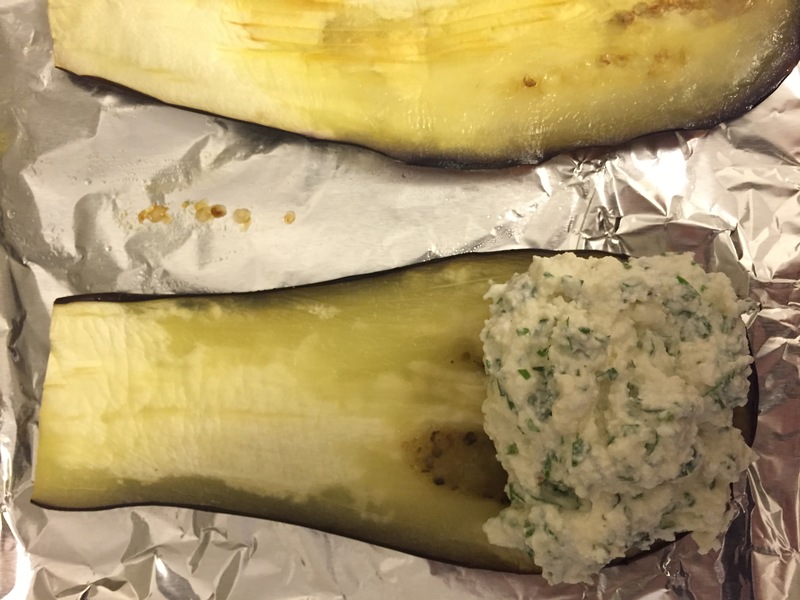 Rinse the eggplant to remove the salt, then dry thoroughly. 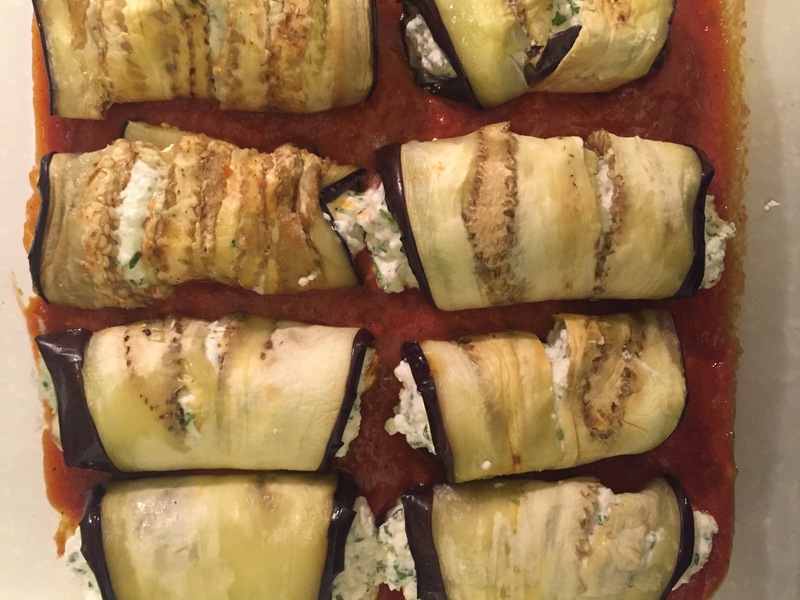 Lay eggplant slices in a single layer on the prepared baking sheets. Bake in the preheated oven for 12-15 minutes, until pliable. 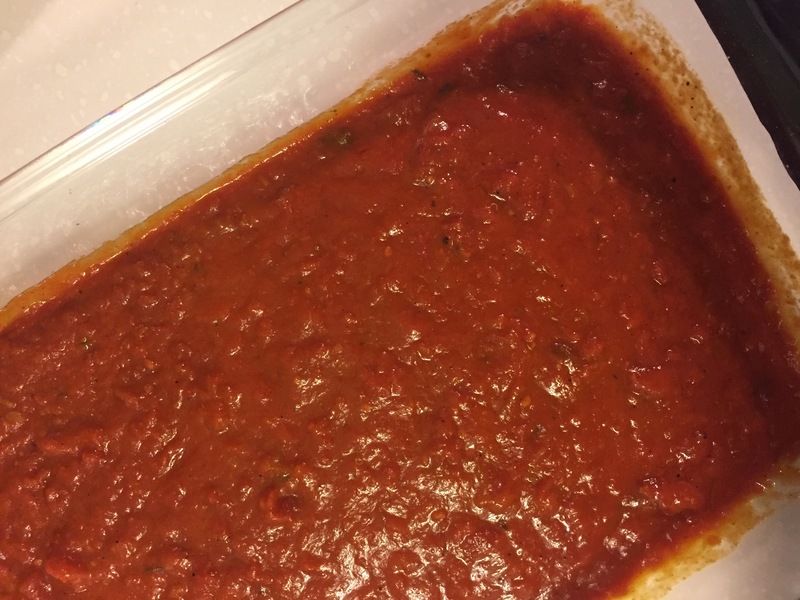 Fill a large baking dish with 1/4-inch marinara sauce. Set aside. 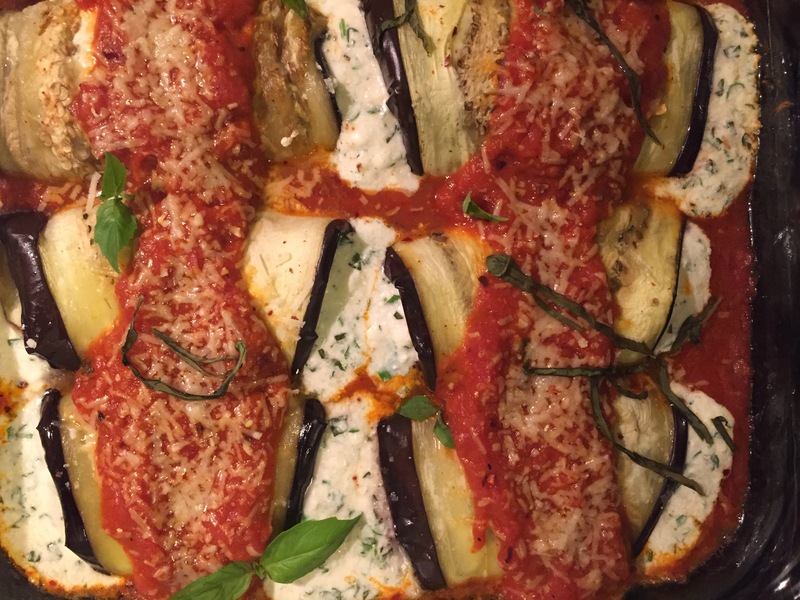 Once the eggplant slices are baked, lower the oven heat to 375 degrees. Remove the filling from the refrigerator. 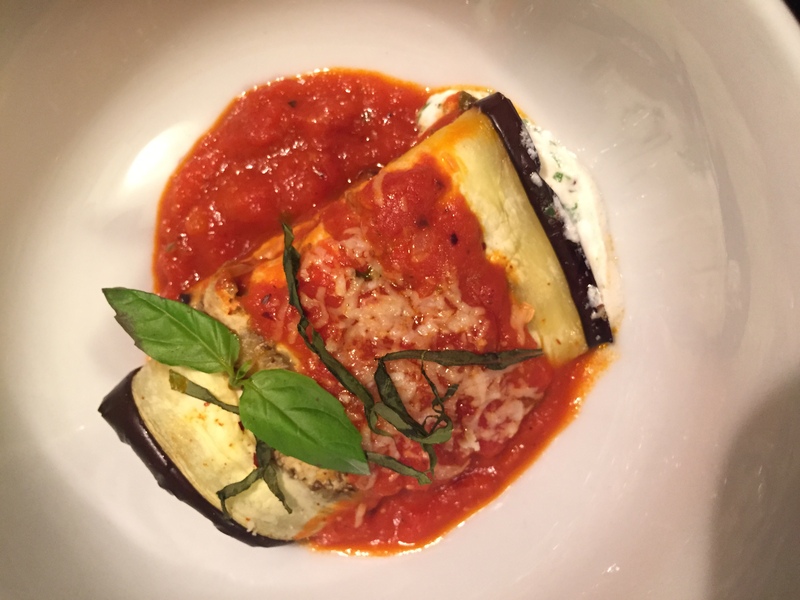 Add 1 generous tablespoon of filling at the base of each eggplant slice, then roll. 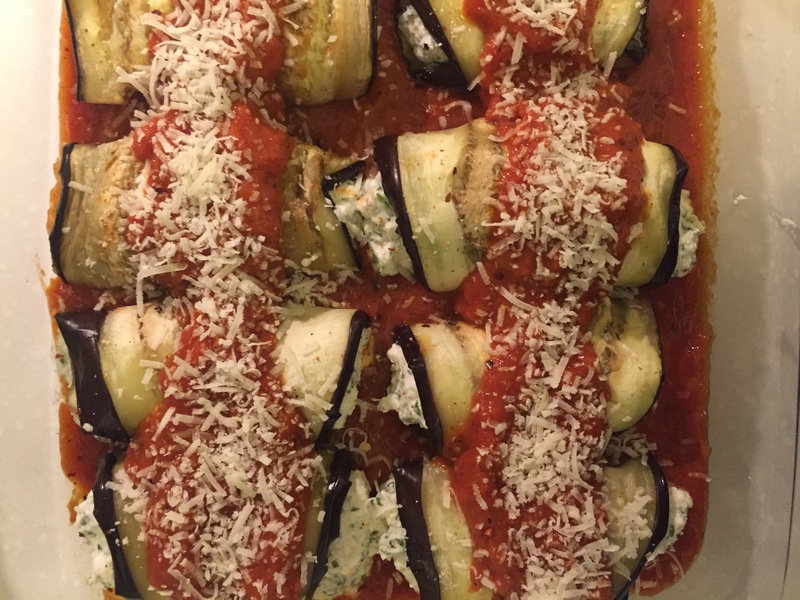 Place each roll-up, seam side down into the marinara-filled baking dish. Pour extra marinara sauce over each roll for added flavor. Add additional Parmesan cheese and fresh basil. 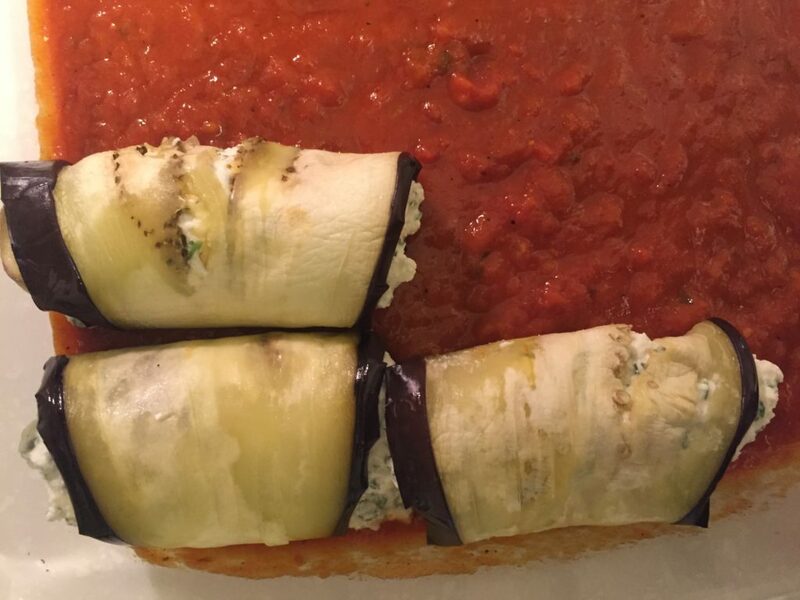 Bake at 375 degrees for 15-20 minutes until the sauce is bubbling and the eggplant roll-ups are golden brown. I like to buy a wedge of Parmesan cheese then grate it myself at home, it makes a world of difference.